I would like to welcome you to the new Steritech website and the new Steritech brand identity. 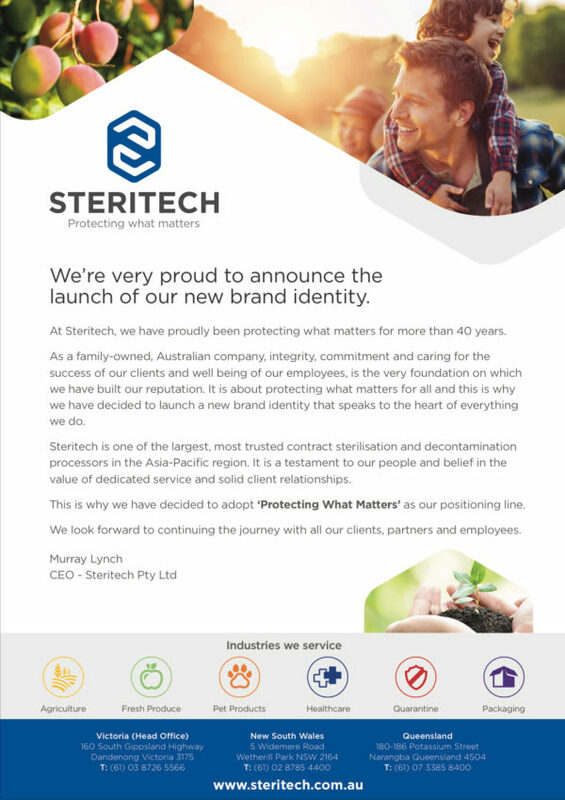 The project to create the Steritech brand into an identity that covers the whole business, has taken some time to complete. It is now with great excitement that I introduce the new Steritech logo and our new positioning line of “Protecting What Matters”. We hope you can take the time to look through our new website and we are confident that it provides a plentiful supply of information and education regarding the services that Steritech offers, to both our new and existing clients. Please do not hesitate to call Steritech if you have any enquiries regarding our services.